The Panasonic KX-TG 6821 is at the lower price spectrum of mid-range cordless phones at only £29.99. It benefits from an integrated digital answer machine with message counter, and fairly stylish black and silver design. It is expandable up to six handsets and is also available without an answering machine. 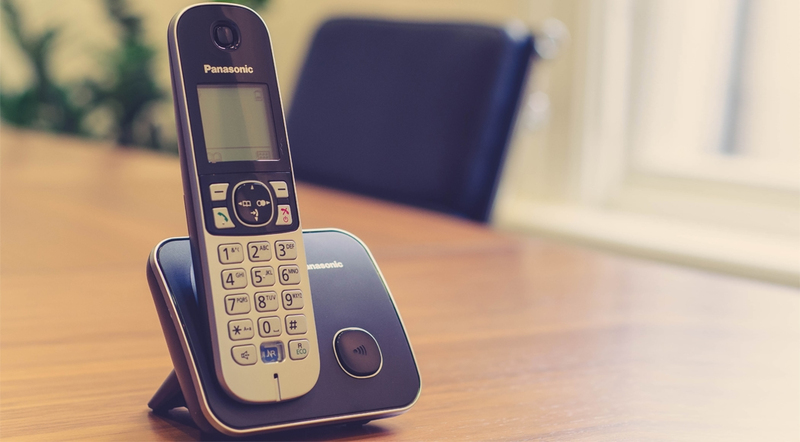 Panasonic cordless phones typically offer good value for money, so we were keen to find out if the 6821 lived up to our expectations. The Panasonic KX-TG6821 has an excellent look and feel for a budget DECT phone, striking a very contemporary style with its understated silver and black. The buttons lay pretty flush against the handset sticking up only a millimetre or two but are well spaced and pleasant to the touch; whilst the user-friendly monochrome display looks good and easy to read. The only downside to the design of the handset is that it won’t standalone vertically due to the curved shape at the bottom, which can be useful when busy and needing to talk hands-free. The base is very sleek and benefits from a message counter so you can see how many voicemails are waiting. It is more compact than previous models from Panasonic, so will take up less space but has lost the facility to be wall mounted (as have the charging cradles for any additional handsets). The 6821 is simple to set-up and shouldn’t cause much hassle even if you’re not especially tech-savvy. I’m not the biggest fan of Panasonic user manuals as they aren’t so easy on the eyes and the text is too small for anyone with less than 20-20 vision; however, when you get past that the actual instructions are fairly useful and it can be used for reference if you need to check how to use specific features. The menu interface in the handset is well laid out, featuring both icons and text to explain where to find what you’re looking for. The bright display is very clear, and it’s possible to adjust the contrast level making it easy to see numbers as you’re dialling, or the details of incoming callers, as well as for general use. The sound quality of Panasonic cordless phones is consistently good and the and the 6821 continues this tradition, with an added “Noise reduction” feature. This supposedly cuts out 75% of background noise at your end, however, when testing we found it hard to discern any noticeable improvement when it was on. Thankfully, the sound quality (regardless of “Noise reduction”) is remarkably good for an entry-level DECT phone, and the clarity and volume of the loudspeaker was decent. In our tests, the range of the KX-TG6821 indoors was fair, giving us about a maximum of about 40 metres before the call quality started to deteriorate. However, it was a bit temperamental allowing us to get further than that on occasion, but not consistently. The outdoor range was adequate, and capable of delivering more than 200 metres. The battery life was great, even without switching on the Eco mode (which conserves energy but reduces the range and sometimes the sound quality) so can be depended upon for long calls and days without being put back in its charger. 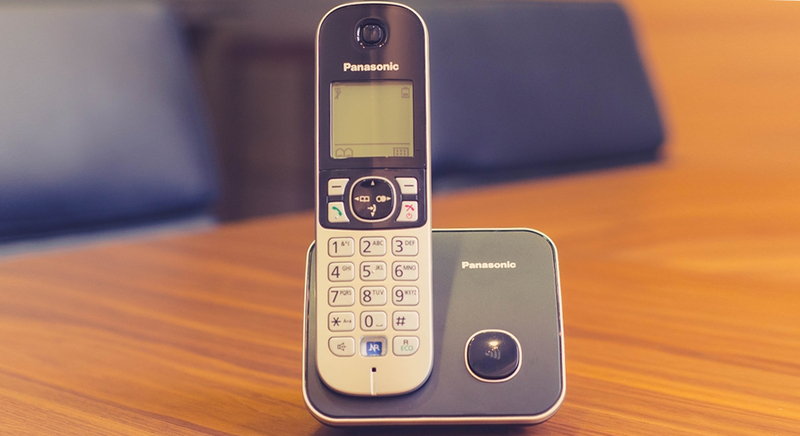 Panasonic have packed the 6821 with a number of practical features to take advantage of, including a Night Mode, which can be set for each individual handset and allows you to silence the ringer for certain times of the day or night. Ideal for mealtimes, bedtimes, and any other times you don’t want to be disturbed by your landline phone going off. It also offers basic call blocking with the facility to store up to 50 numbers that will be barred. And a call restrict feature enables you to PIN protect the handsets from calling specific numbers or prefixes (eg. 08, 07). 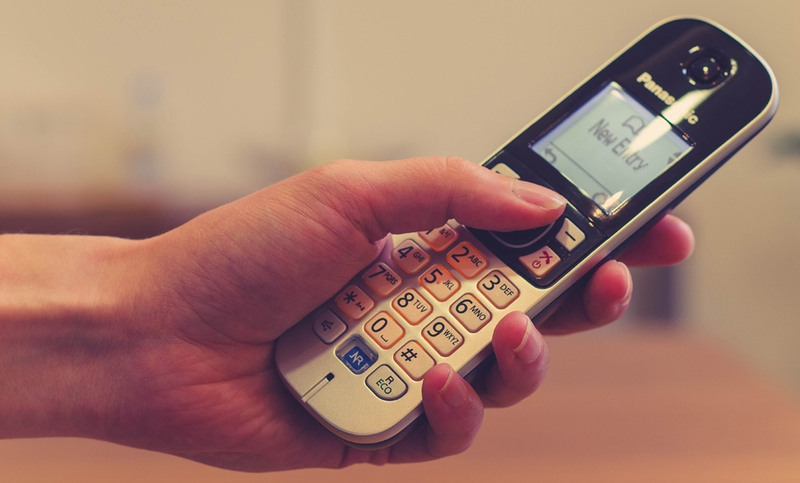 And there is a phonebook memory for up to 120 names and numbers, which is automatically shared with other handsets (you can have up to six handsets registered to the base, and the 682 is available to order as a Twin, Trio, or Quad set). The Panasonic KX-TG6821 is a good phone, which offers more features for your money than similarly prices phones. It’s unlikely to blow you away, but it works well and certainly won’t disappoint. The Panasonic KX-TG 6821 Single is available for £34.99 - order online here. The Panasonic KX-TG 6822 Twin is available for £42.99 - order online here. The Panasonic KX-TG 6823 Trio is available for £54.99 - order online here. The Panasonic KX-TG 6824 Quad is available for £69.99 - order online here. This entry was posted in Reviews, Cordless Phones and tagged panasonic, 6821 on 28/11/2014 by Craig.